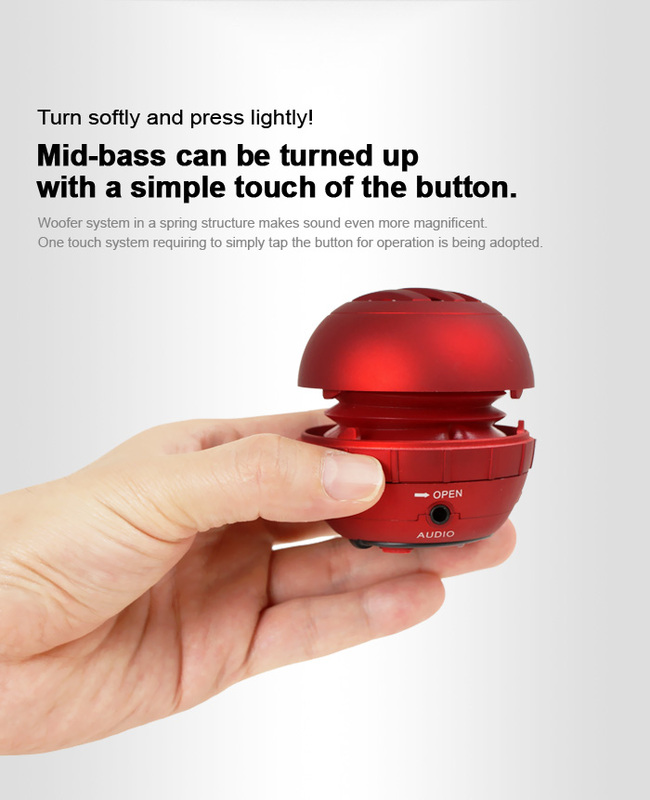 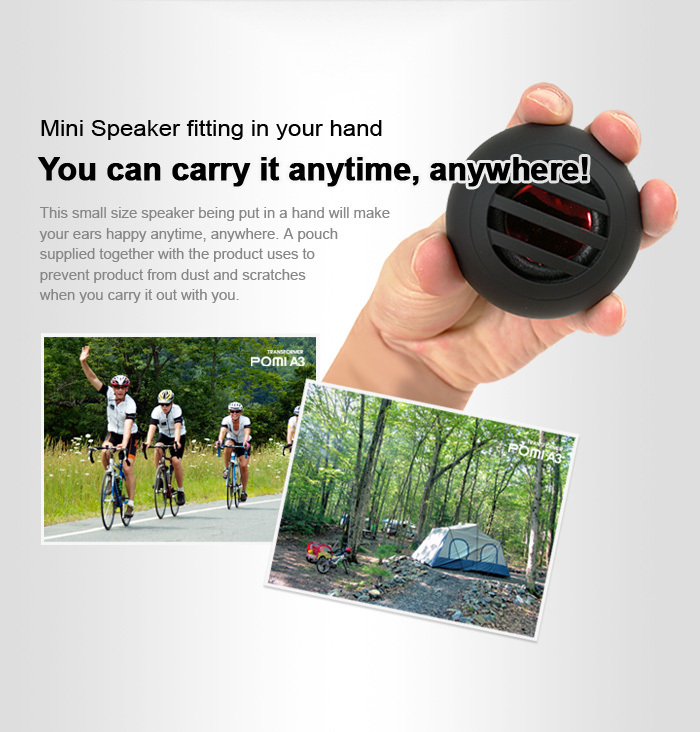 The portable speaker is a compact, powerful device, which can enjoy the outdoors with high quality sound. 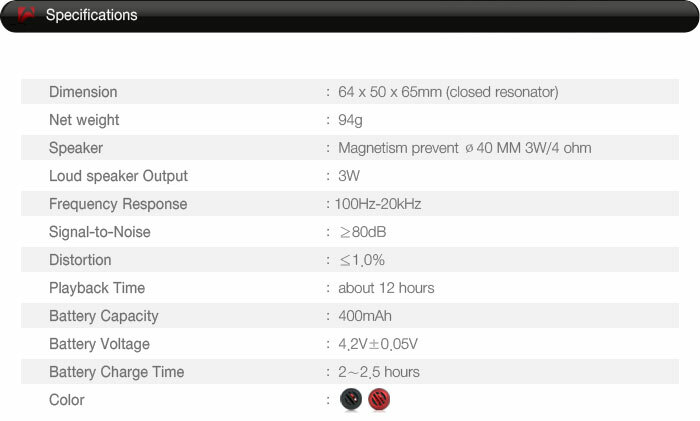 Extendable resonator design makes the bass sound more outstanding, and it will increase the low frequency outputting. 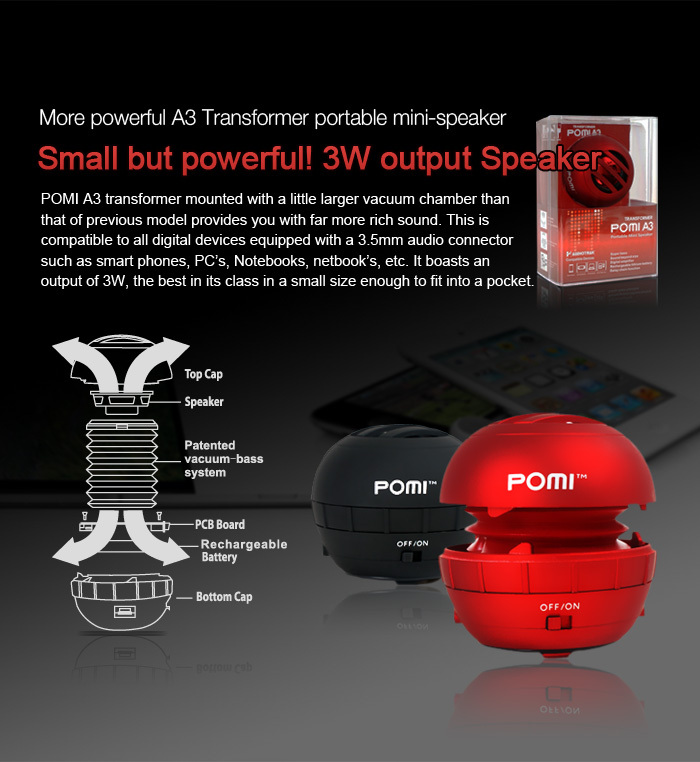 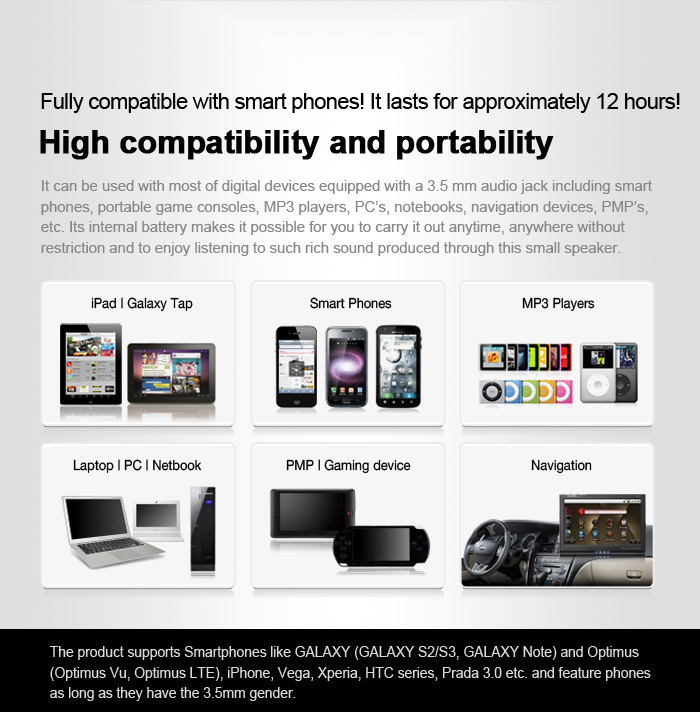 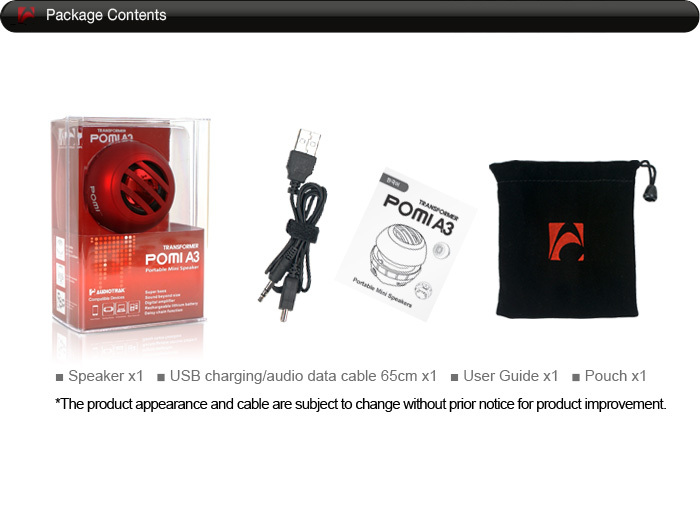 Simply connect the speaker to any device with 3.5mm jack and prepare to be blown away by the compact speakers volume. 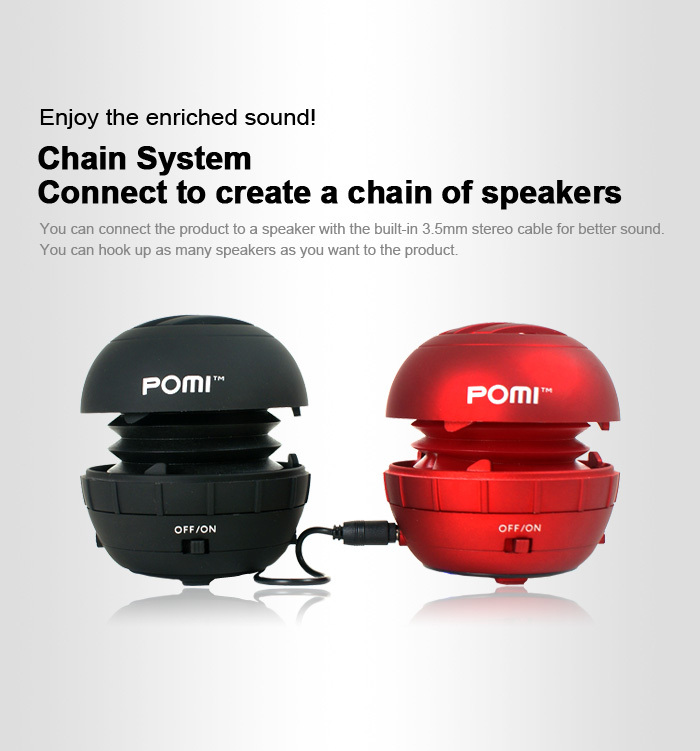 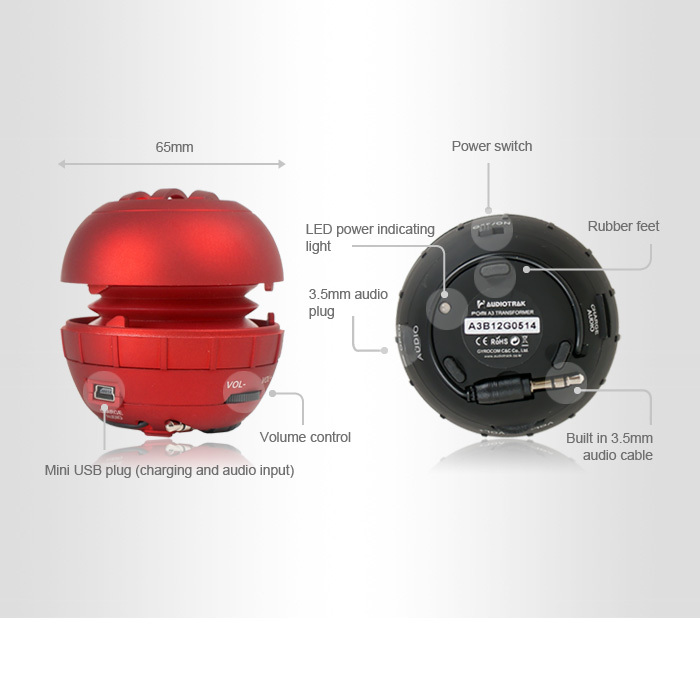 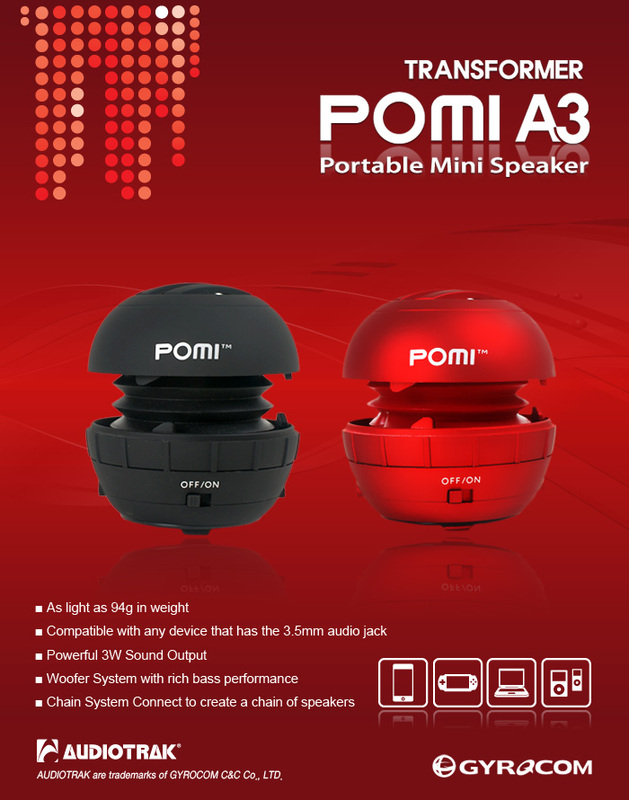 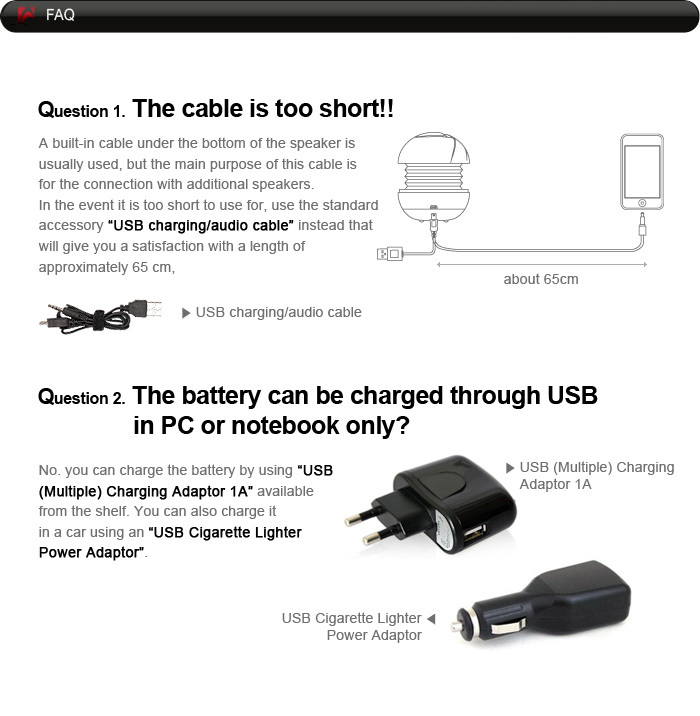 The portable speaker has a built-in recharged battery, with multiple circuit protection, which can be charged using the supplied USB cable and lasts for about 12 hours from a single charge.